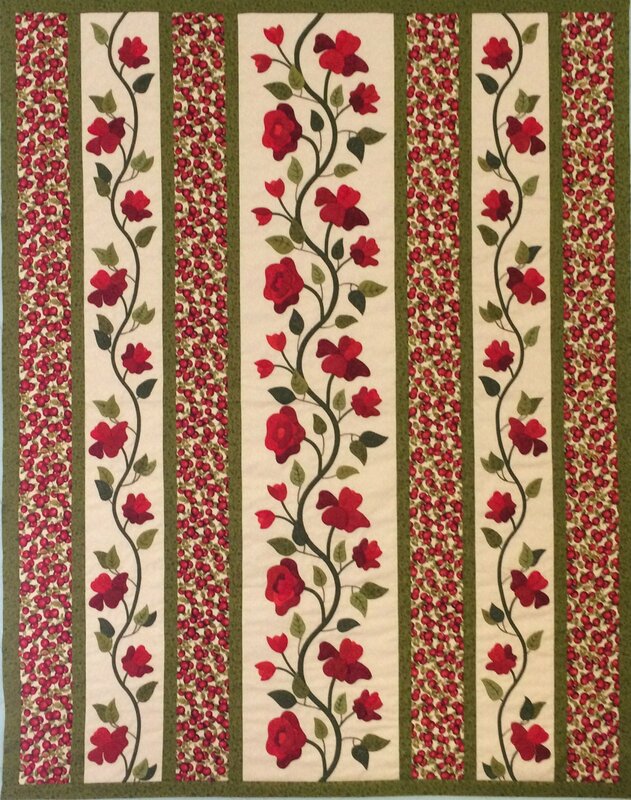 The roses in this strippy quilt have been softly sculpted using 2 types of batting. The sculpting is optional. Either way, these roses will brighten your day in this 48 1/2" x 62 1/2".